Partly cloudy this morning, then becoming cloudy during the afternoon. High 78F. Winds SSE at 10 to 15 mph.. Partly cloudy skies early. Thunderstorms developing late. Low 69F. Winds S at 10 to 20 mph. Chance of rain 80%. 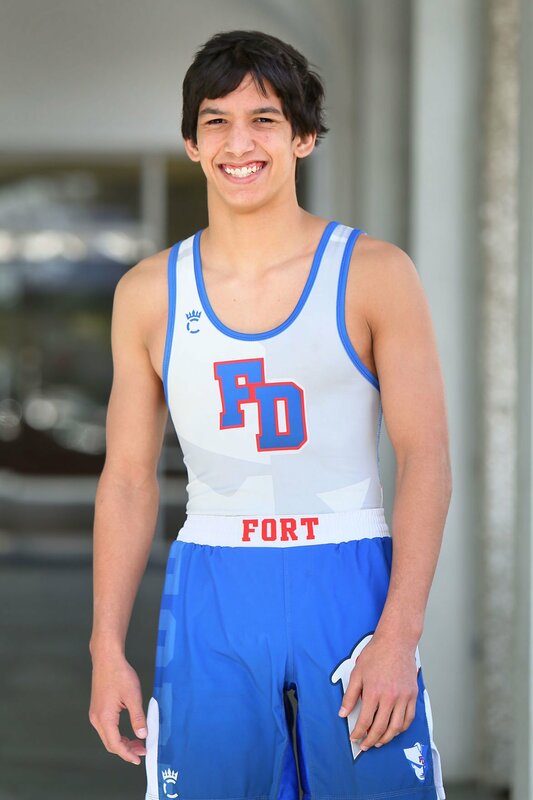 Fort Dorchester High School senior Jordan Aluyan has been one of the most dominant wrestlers in South Carolina over the last four years. But you would never know it from talking to him. As unassuming as the day is long, Aluyan quietly and calmly went about his business winning three consecutive state individual titles while not losing a single match to a South Carolina wrestler during the 2018-19 season. For his efforts this winter, which included a 33-2 record, Aluyan is The Post and Courier All-Lowcountry wrestler of the year. Aluyan finished his career with a 109-11 record and three state individual titles. He was a quiet leader for coach Andrew Young’s program, one of the state’s best. “His composure during even the biggest matches was like no one I have ever coached,” Young said. “He’s never rattled. You can never tell if he’s winning or losing because he never changes. Young was coaching at Cane Bay High when he first saw Aluyan as a middle school performer. He became Fort Dorchester’s head coach four years ago and immediately looked to Aluyan as a leader. “When I first saw him, I knew he was special,” Young remembers. But Aluyan has never considered himself special. He says he just focused on working hard and getting better. Aluyan could appear disinterested in some of his matches, but he says that was all part of the mental approach to executing his moves. While there are a few colleges showing interest, Aluyan admits he isn’t sure if he wants to move on to the next level. As much as high school wrestling takes a toll, the wear and tear both mentally and physically on the college level is even greater. Young says Aluyan is certainly college wrestling material if that’s what he wants. Summerville’s Darryl Tucker and Timberland’s Ryan Rhoades share the award as coach of the year for this season. Both coaches took their respective programs to the Lower State finals in the state duals playoffs, Summerville in Class AAAAA and Timberland in Class AA. Fort Dorchester — Mateo Vargo, Joseph Brown; Summerville — Zach Jurey, David Rundell, Will Jones, Parker Warder; Hanahan — Matt Murray, Kevy Bell; North Charleston — Will Bogstad, Antwain Hoskins, Lumin Graham, Joseph Lawson; Burke — Cory Prioleau; Ashley Ridge — Jared Valmores, Chase Dupree, Jacob Simmons, Kamryn Petrick; Stratford — Lance Elrod, Josh Manindnig, Zach Lehmer; Cane Bay — Raleigh D'Antico, Dmari Vereen, Ralph Inge, Spencer Wall; Timberland — Austin Morris, Chris Martin, Corbin Proctor, Pedro Kinard, Roman Wadford, Carlos Tinajero, David Williams, Hunter Elswick, Roderick Sumter; Berkeley — CJ Baker, Gavin Canady; Colleton County — Terrance Calloway; Academic Magnet — Sean Healy, Jonathan Lemon, Eli Beall; Military Magnet — Omari Breshiers, Kameron Greene, William Mack, O'Neal Pinckney, Rashon Gholson; Wando — Walker Rhue, RE Leasure; Goose Creek — Sam Cohen; West Ashley — Advanta Broadrick.